Building Description: Just a short distance from Eastern Creek Raceway, Featherdale Wildlife Park and historic Parramatta. The hotel adjoins the Blacktown Workers Sports Club, where guests can take advantage of a wide range of facilities that caters for all ages, including restaurants, gaming venues, and sporting facilities. Location: The great hotel makes a perfect base for travellers wishing to visit the Blue Mountains that are only 20 minutes away. For the Sports fan, Telstra Stadium and Rosehill Racecourse are only 10 mins away on the M4 motorway. 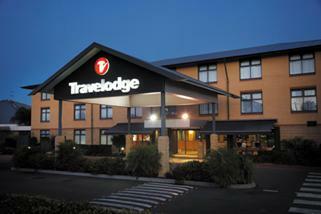 If you`re looking to live in Sydney for an extended period of time, we suggest you to stay at Travelodge Blacktown for a comfortable stay. Move and Stay allows you to book easily a Sydney apartment, whether you`re looking for a serviced apartment, an aparthotel, or a residential apartment for rent. 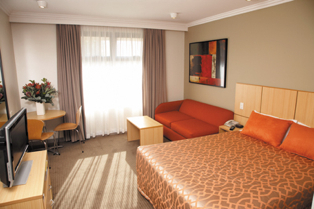 Many of our Sydney serviced apartments come with full accommodations, including a full kitchen and a lounge.